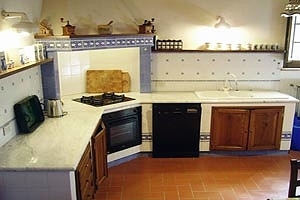 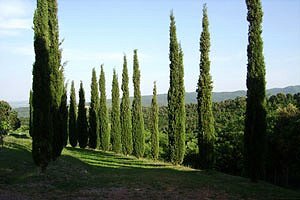 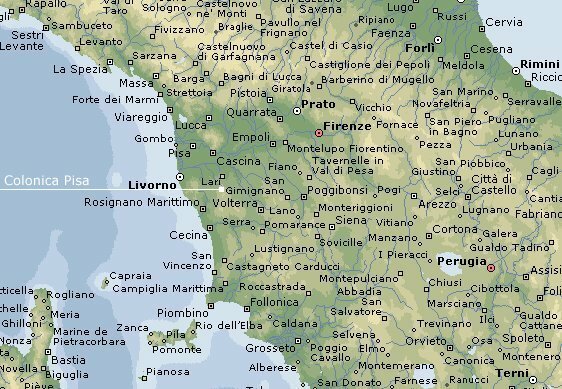 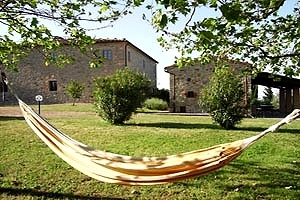 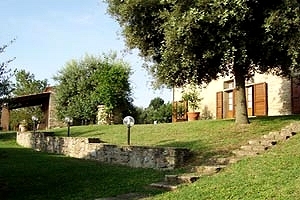 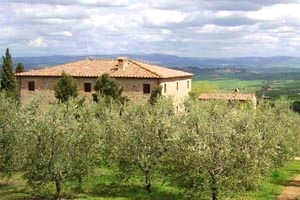 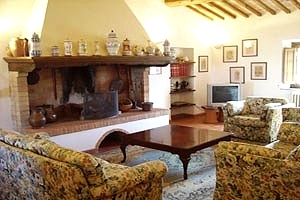 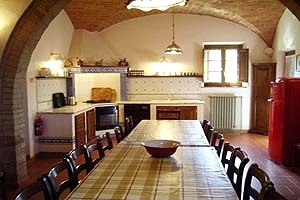 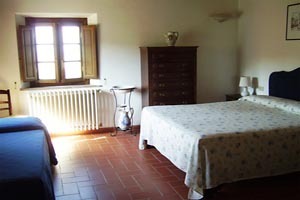 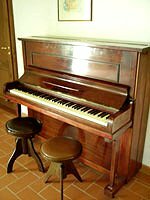 The farmhouse stands on a hill in Valdera, a few kilometres from Pisa, near Casciana Terme. 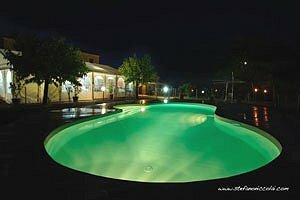 The history of Casciana Terme has always been strictly connected to the therapeutic properties of its waters, mentioned for the first time in a document dated 1148. 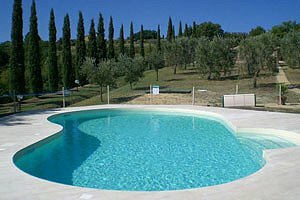 Although scholars maintain that the Romans already knew about the properties of Casciana waters, it was only Federico da Montefeltro (in 1311) who built the first thermal establishment. 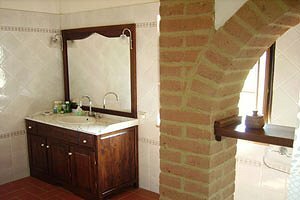 The baths were then renovated several times in the course of the centuries. 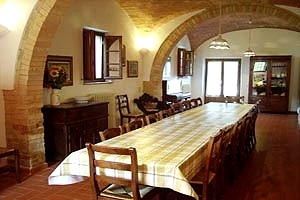 Architect Giuseppe Poggi built a new thermal establishment in 1870. 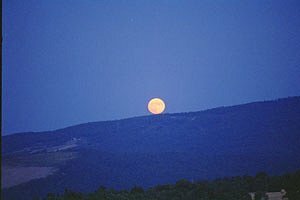 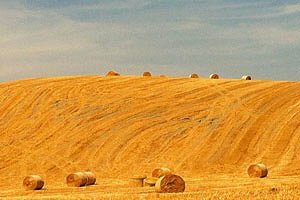 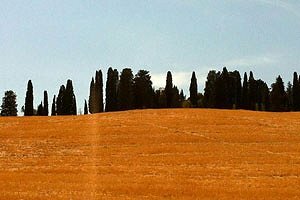 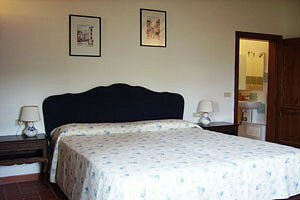 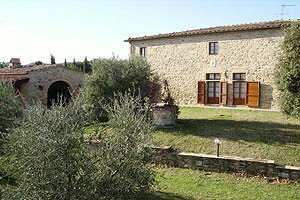 The farmhouse situated on a hill in Valdera is an excellent accommodation for those who would like to relax in the Tuscan countryside. 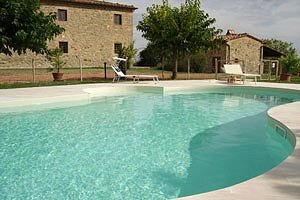 In the wide fully fenced garden equipped with sun loungers and chairs lies the equally fully fenced private swimming pool (10x5 m; depth: 1.40 m), which is exclusively reserved to guests. 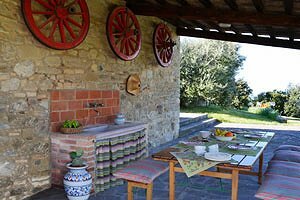 A wood-burning oven is at guests' disposal in an annex in the garden, whereas a patio is furnished with a large table for having meals al fresco. 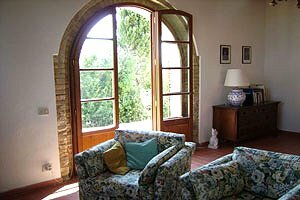 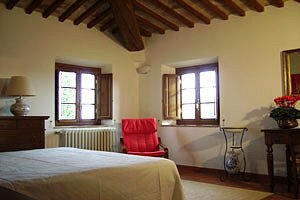 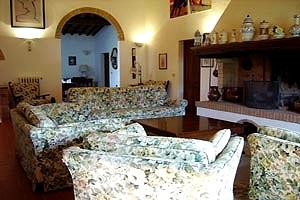 The farmhouse is furnished in the typical style of the Tuscan country houses and is warm and cosy in winter and fresh and airy in summer. 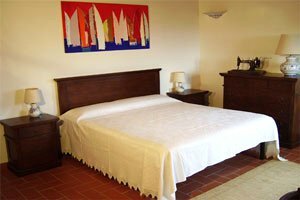 The farmhouse can accommodate 20 guests in 1 bedroom with six beds, 2 quadruple bedrooms and 2 triple bedrooms, and has 5 bathrooms. 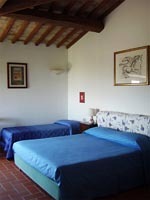 The ground floor consists of the kitchen, a large dining room, a wide bedroom with six beds and a bathroom. 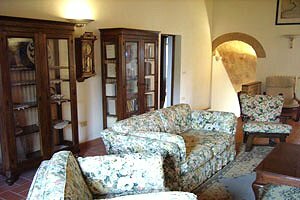 On the first floor are a reading room, a living room with fireplace, two triple bedrooms with ensuite bathroom and two quadruple bedrooms with ensuite bathroom. 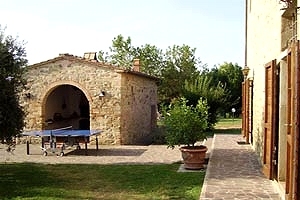 The farmhouse comes with swimming pool, barbecue, wood-burning oven, working fireplace, DVD player, Internet connection, oven, dishwasher, washing machine, cot bed and private car parking space. 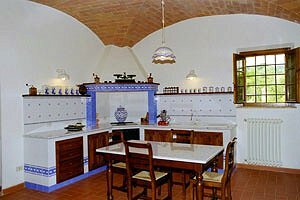 A cook and a domestic help are supplied upon request. 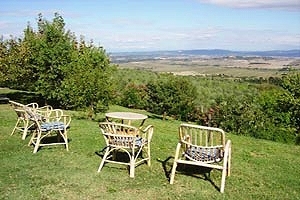 Shops and services of any kind are 2 kilometres from the farmhouse. 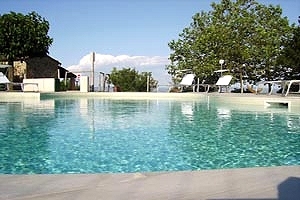 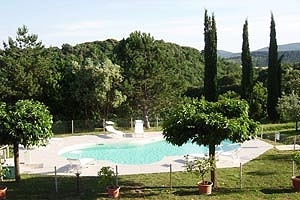 Casciana Terme and its thermal baths are 7 kilometres from the property.